Time, it is something we can't avoid and something we learn about at quite a young age. 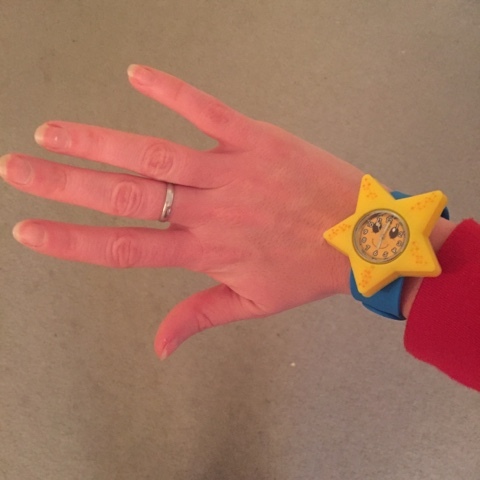 I remember getting my first watch when I was about 6 years old and to be honest it didn't appeal to me, it had a plain red strap and a standard clock face, being a young girl it just didn't catch my eye. 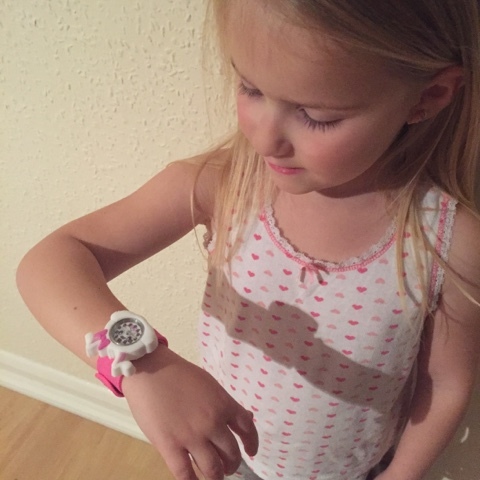 My seven year old has recently started learning about telling the time in school so it couldn't have been better timing (excuse the pun) when I was asked if I'd like to review Aniworld's Anisnap watches. These watches are colourful and designed to be fun. Available in array of different animals including unicorns (which I want), frogs and monkeys, they are a very cute way of aiding your child's learning. 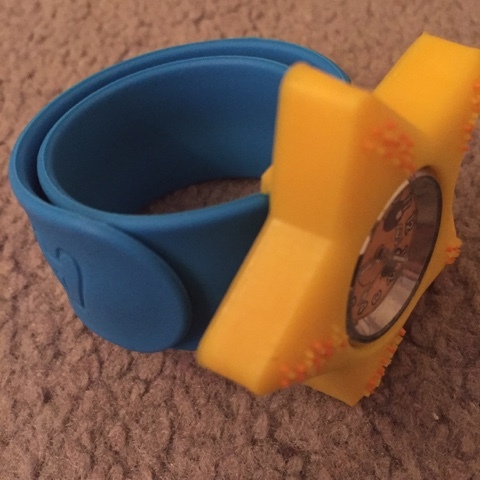 The way they have been designed means that they can fit on any child's wrist. 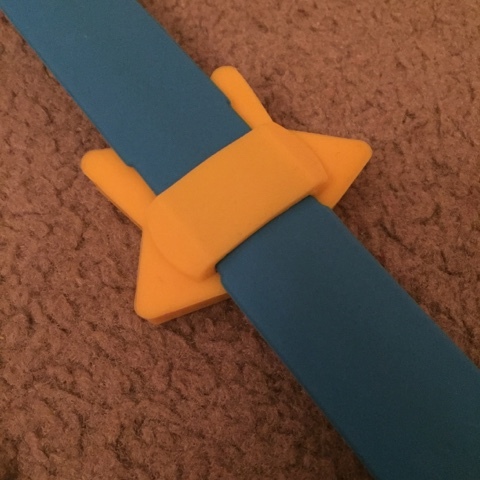 The strap is snap fastening meaning that it wraps around your wrist making it extremely adjustable. I was sent the elephant, the rabbit and the star so that my three, five and seven year olds could all try them out. 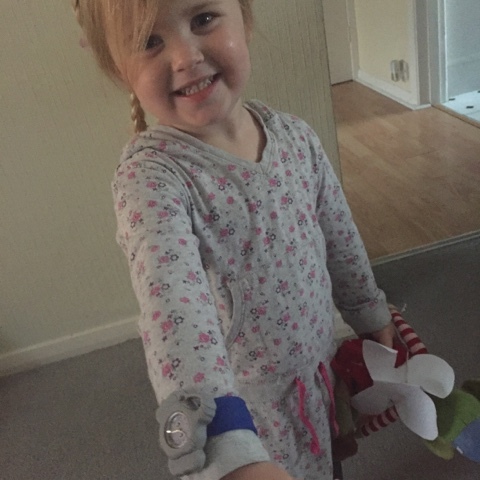 My three year old was taken with them straight away and even though she isn't old enough to tell the time, she pretends that she knows what the time is and eagerly shows others her watch asking them what the time is too. 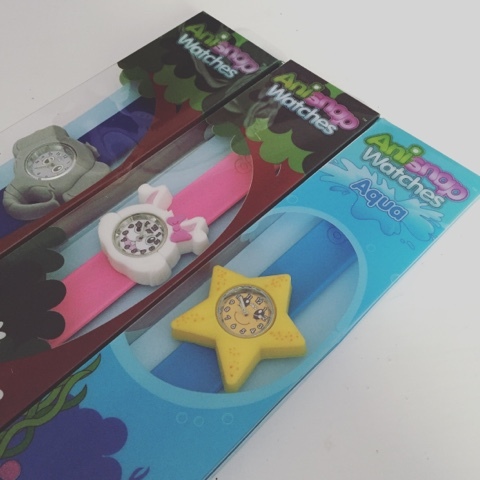 These watches appeal to me because of the material they are made out of. The clock face it itself is concealed within the rubber/plastic case meaning no metal is showing and the strap is made out of rubber too. As someone who is not only allergic to cheap metals but has children who suffer with eczema also, this is a well thought out part of the design in my opinion. 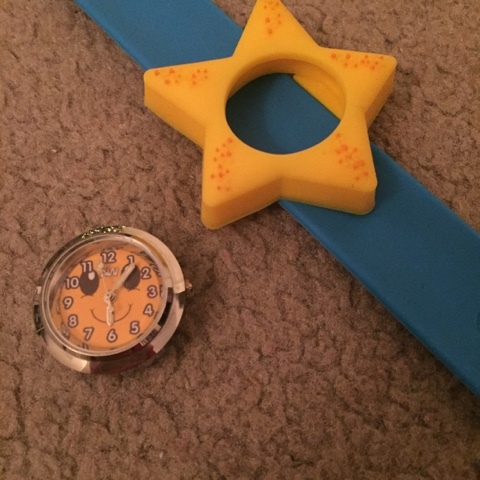 The other good thing about the materials used is that the watches can't be easily broken, younger children can drop them and handle them without the fear that the clock face might be damaged. Changing the time is easy, simply pop the clock face out of the case, pull out the tab on the side and turn the dials to the time needed. The numbers on the clockface itself are easy to read and it has made my seven year old actually want to practice what she has been learning at school. Priced at £10.00 each the Anisnap watches are available from places like John Lewis and Amazon. They are bright, fun and funky and with so many designs (27 to be exact) to choose from, there is definitely one to suit any child and I have to be honest they are perfect for adults too…. You can find Aniworld on both Facebook and Twitter if you'd like to keep up to date with news on all of their products. Which design would your child prefer?